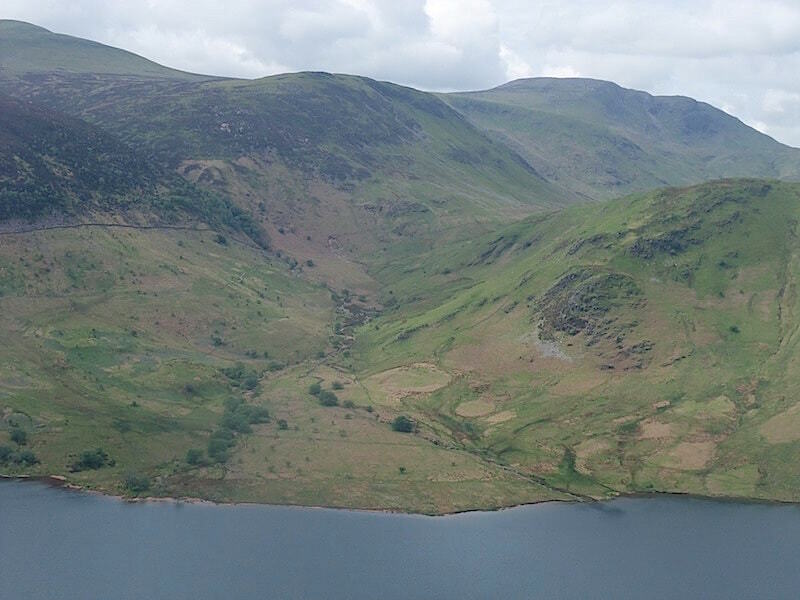 We’re over in Rannerdale today alongside Crummock Water to do one of those things that we’ve always been meaning to do but have never got round to. 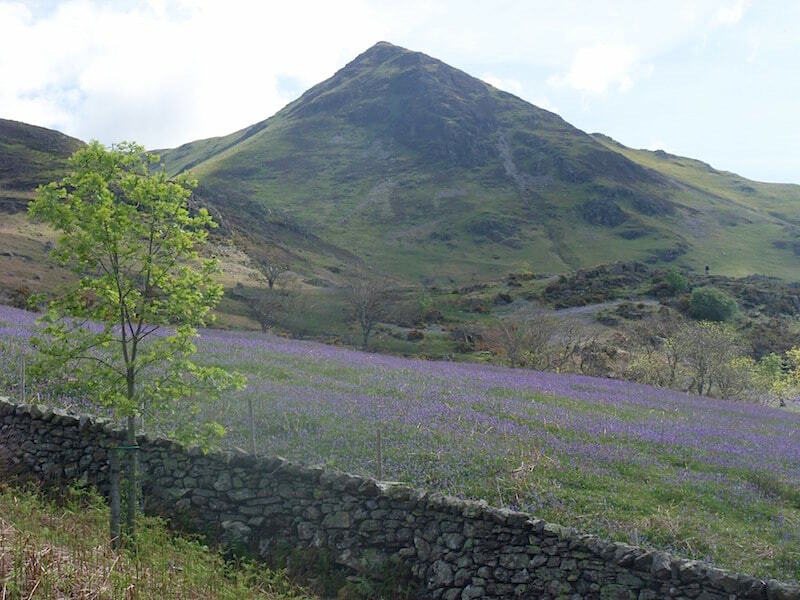 Its a lovely May day and the bluebells should be in full bloom, so we made the effort to go and see them and not let the show slip by us again this year. 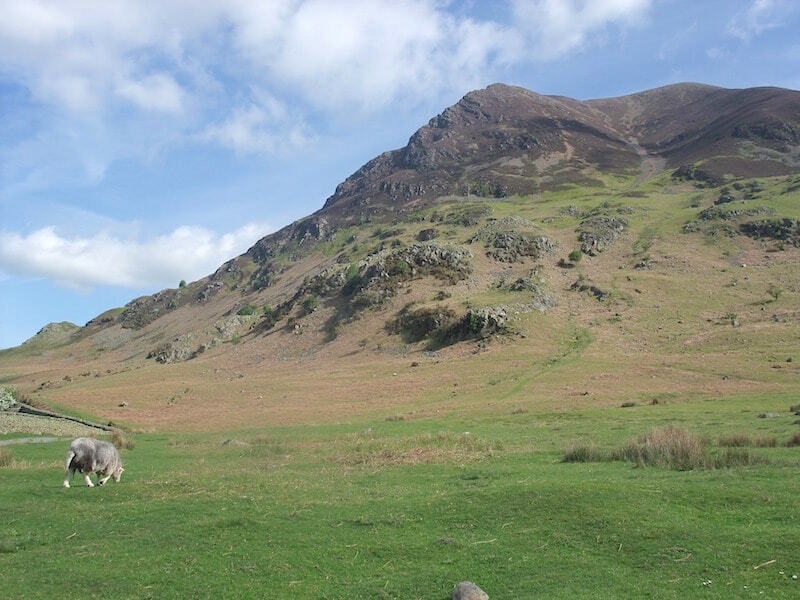 We’ve parked up just alongside Cinderdale Beck and here we are looking up at the bulk of Grasmoor as we cross the field to pick up the path into Rannerdale. 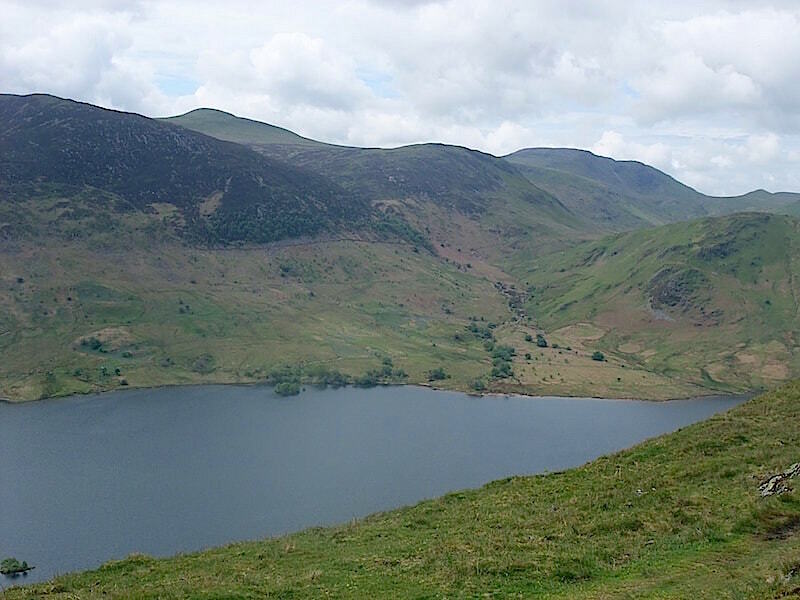 The path rises quite gently and offers a view over Crummock Water to Red Pike, the large hump on the left, and Starling Dodd, the small hump over on the right. 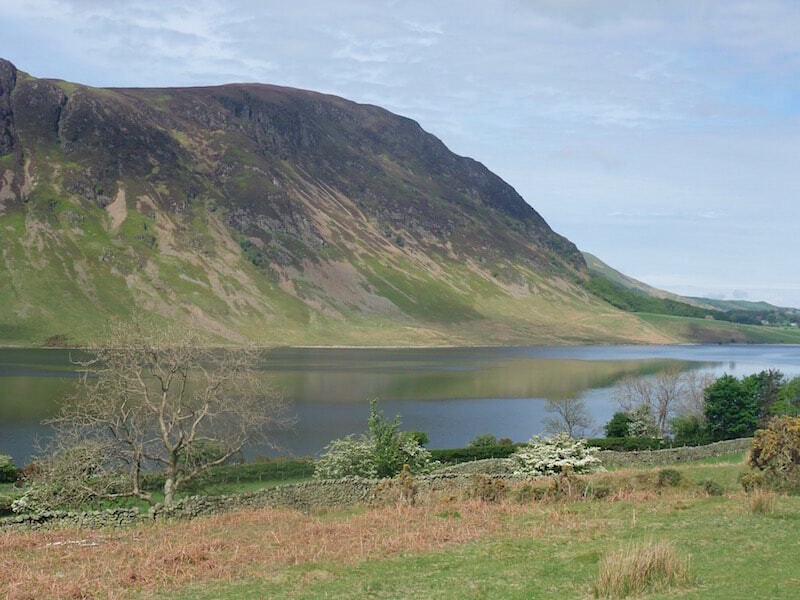 Behind us is the northern end of Mellbreak across Crummock Water, with just a very slight breeze ruffling its surface. 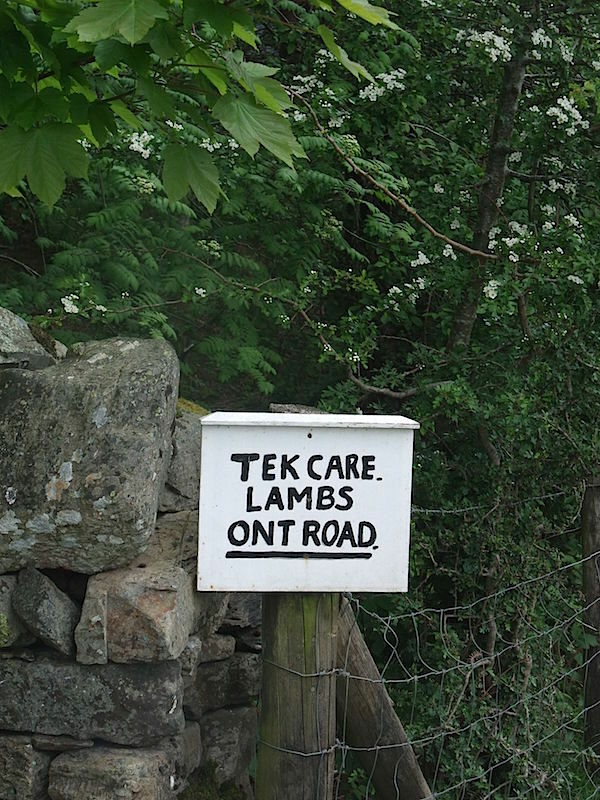 The southern end of Mellbreak, and more cars arriving. 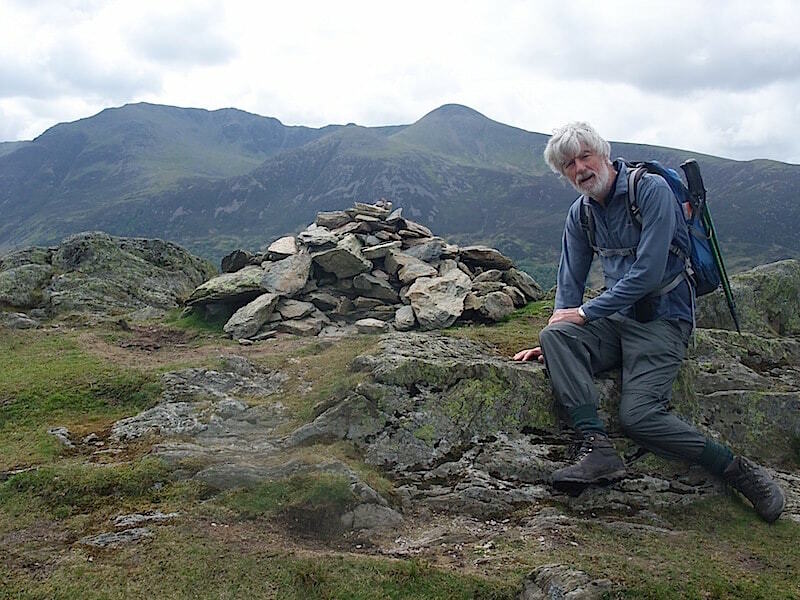 There were huge numbers of people here today, including what looked to be a photographic society group who had all manner of cameras and tripods, lenses, meters of one sort or another and who were jut beginning to set up their gear for the day. All I’ve got is this cheapo pocket digital which I always hope will not throw a wobbly halfway through the day. The best I can say about it is that at least it fits in a pocket and doesn’t weigh a ton. 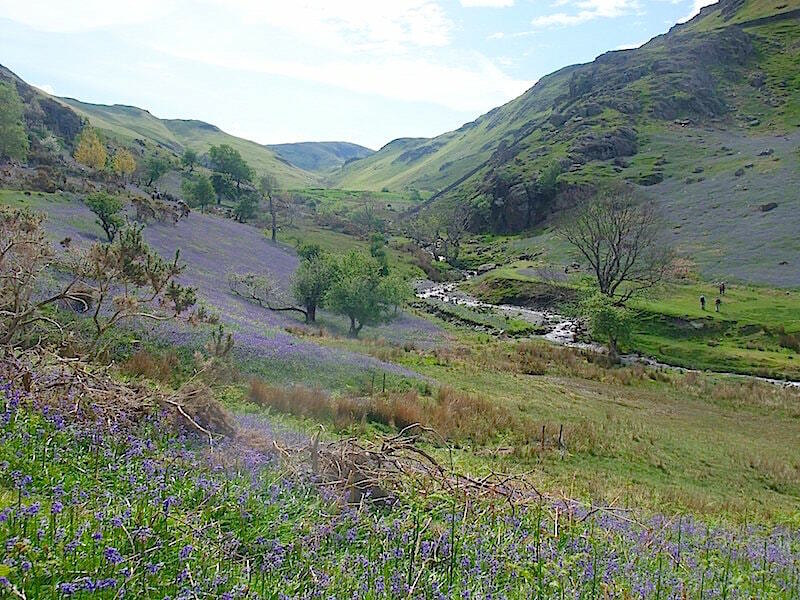 The northern end of Rannerdale Knotts with its lower slopes covered in bluebells. 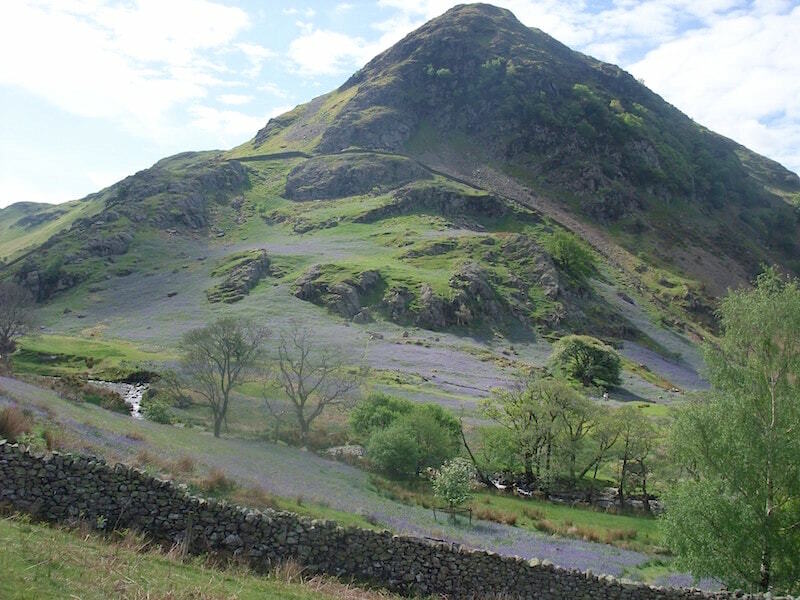 On the opposite side of the valley is Whiteless Pike also bordered by thousands and thousands of bluebells. 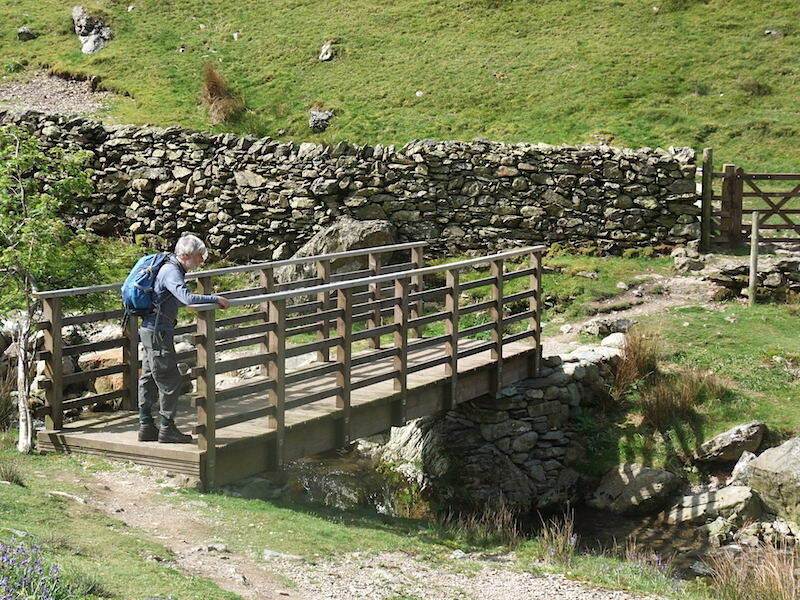 Time for some stile climbing practice. 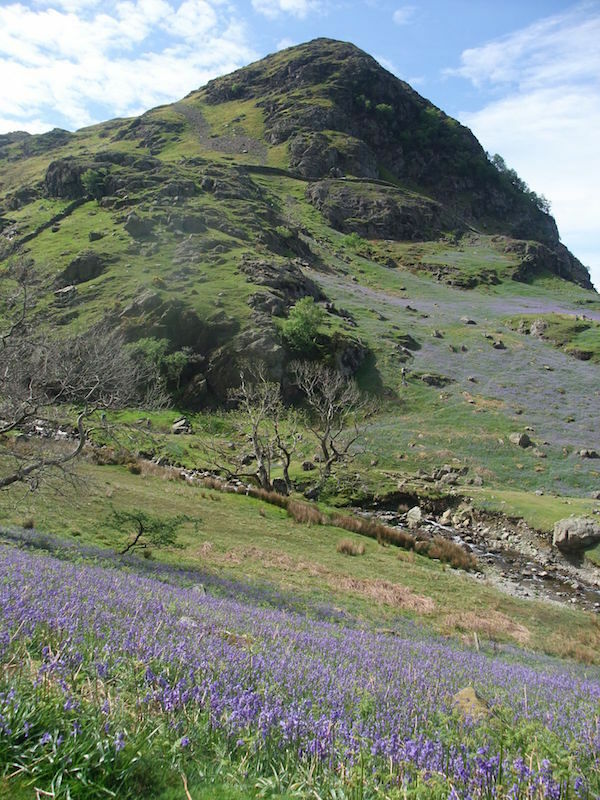 A closer look at the bluebells below Whiteless Pike. 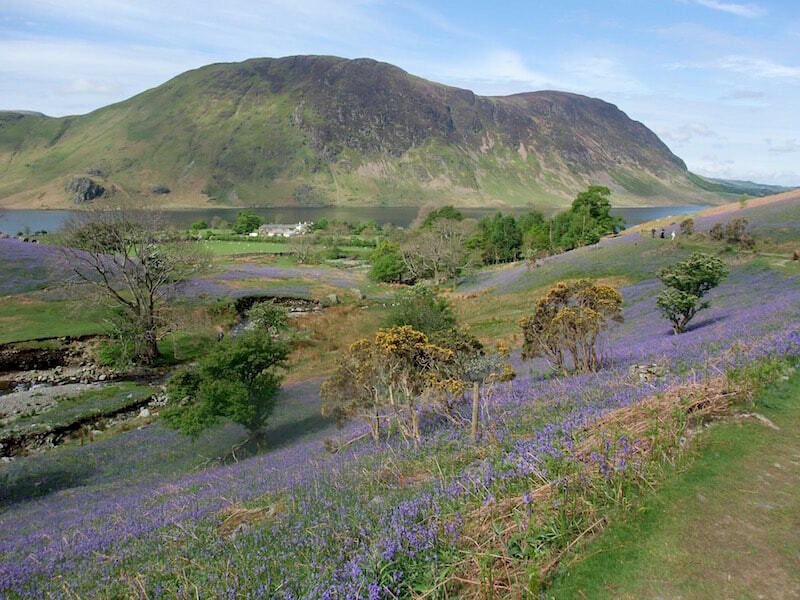 The bluebell invasion of Rannerdale. 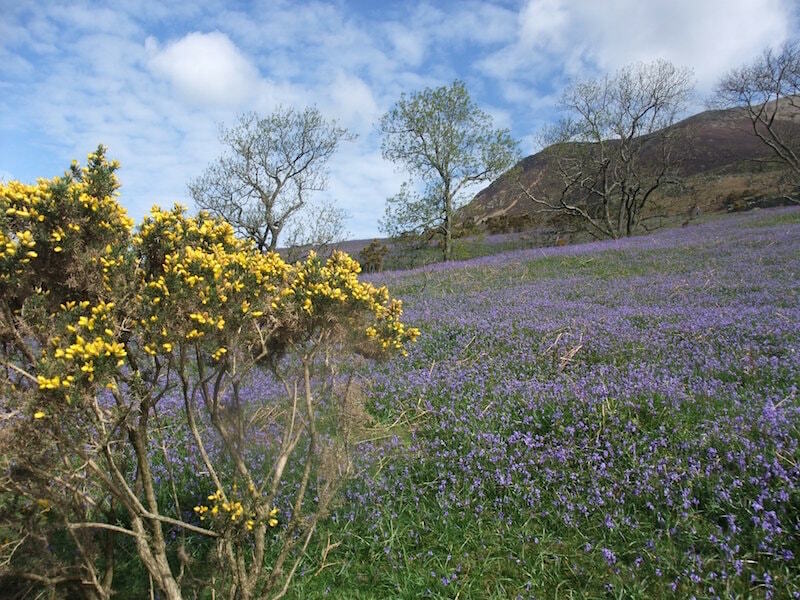 Blue and white skies, fresh green leaves, yellow gorse and bluebells, the glorious colours of an English springtime. 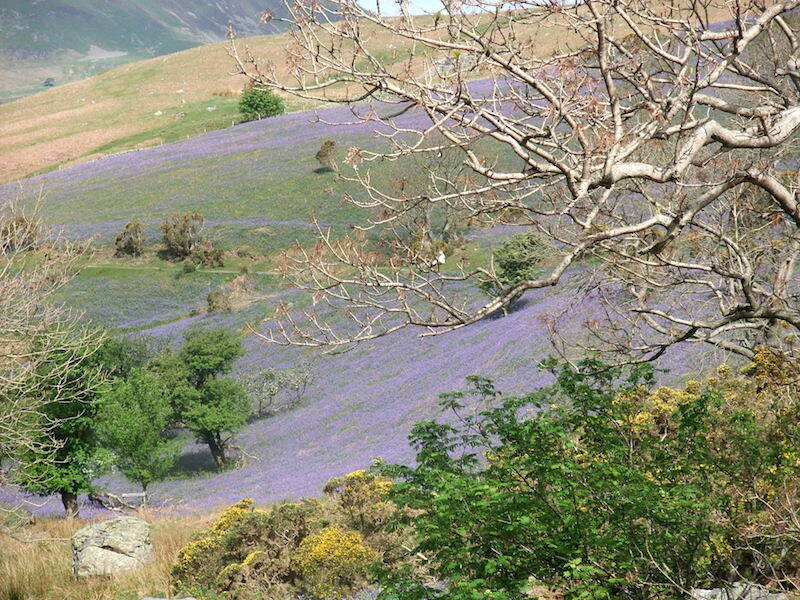 Bluebells everywhere you look, at least its not a hostile takeover. 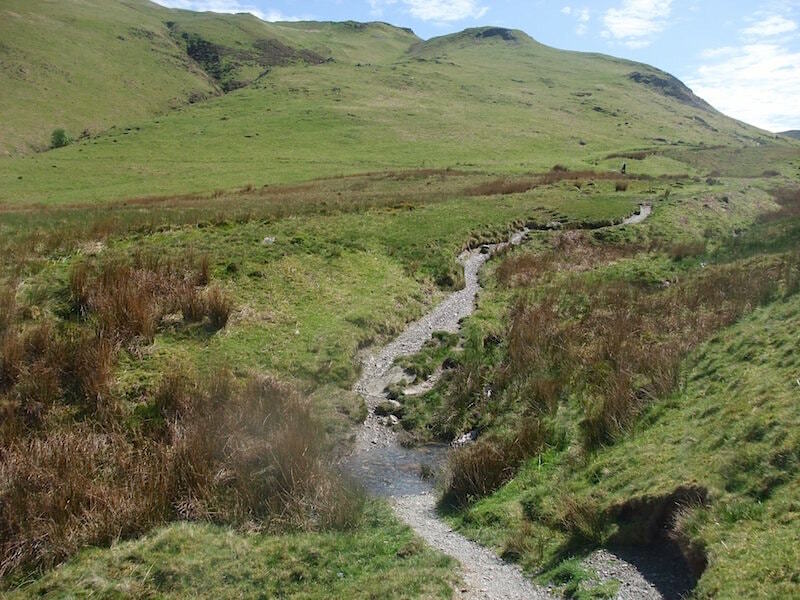 They are even making their way up the slopes of Rannerdale Knotts. 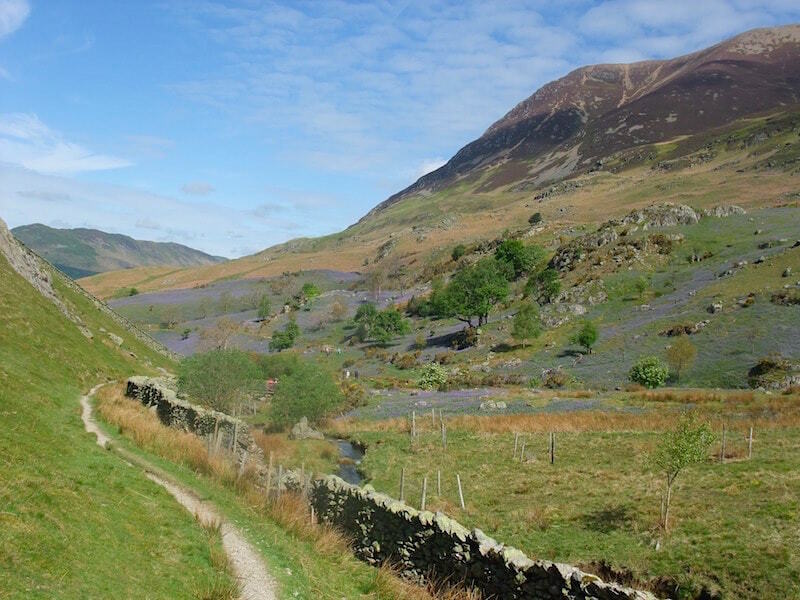 Its time to leave the bluebells behind and cross over to the other side of Rannerdale to pick up the path up to Rannerdale Knotts. 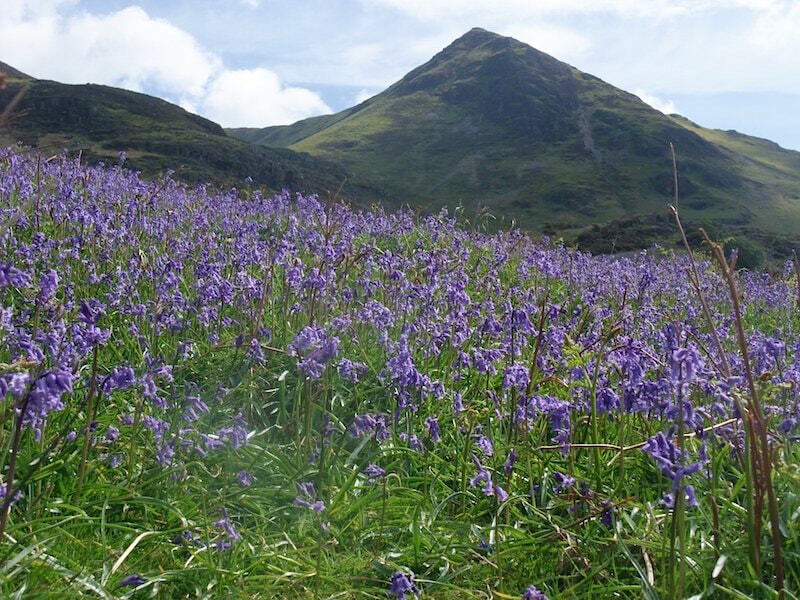 Oh, go on then, I’ll just take another bluebell photo. 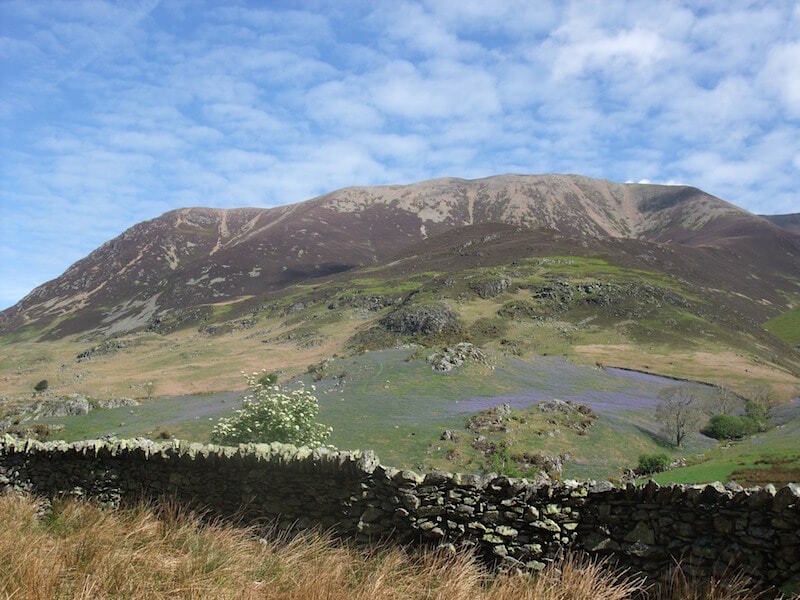 A look back as we make our way up Rannerdale, I wonder how far up Grasmoor those bluebells will eventually spread …..
….. and will that wall over there below Grasmoor will stop the bluebells in their tracks? 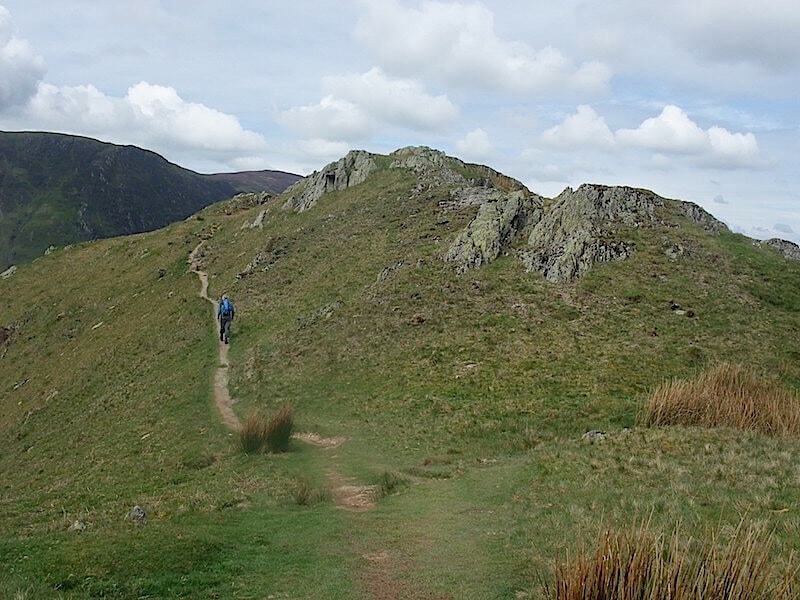 The lower slopes of Whiteless Pike on the skyline ahead of us as we continue on the path up Rannerdale. 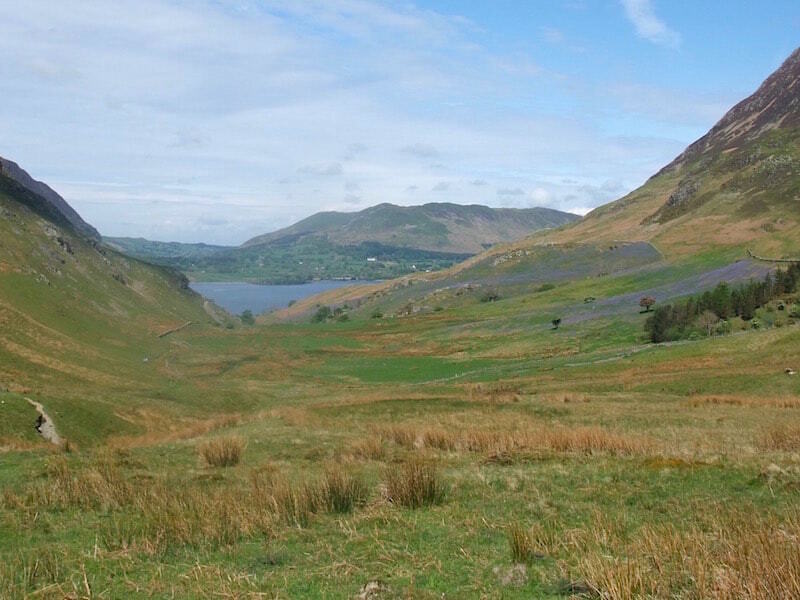 A look back down Rannerdale showing the extensive area of bluebells. 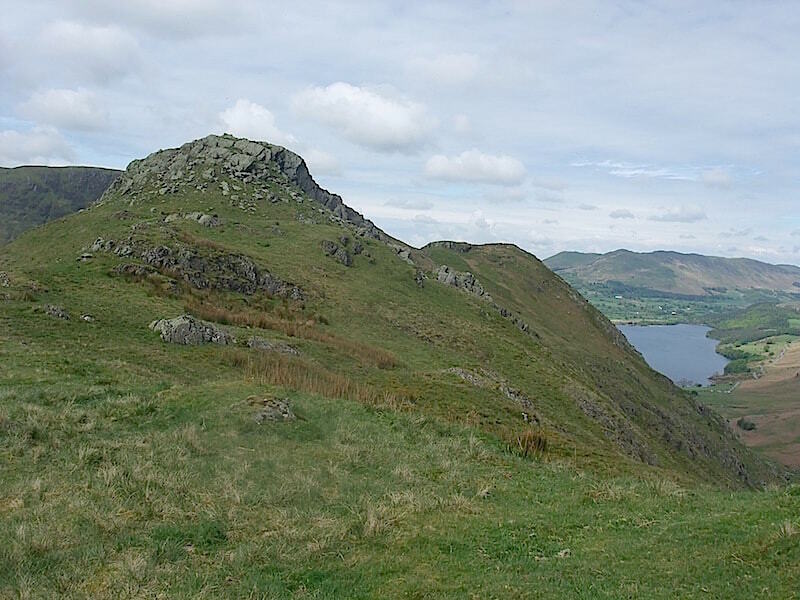 We’re nearing the top of Rannerdale where we will turn right and walk across the top of Rannerdale Knotts, part of which is there above us on the skyline. 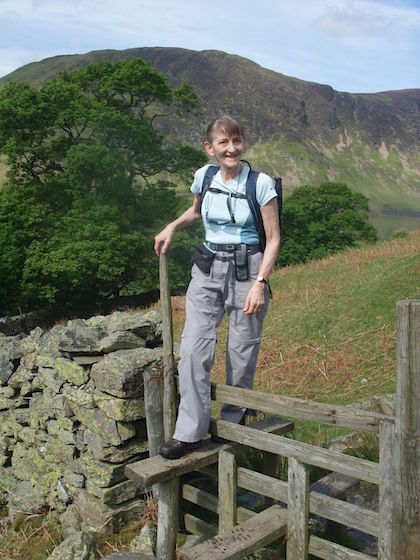 We’ve turned up on to Low Bank and behind us we have a view of Buttermere and the surrounding fells. 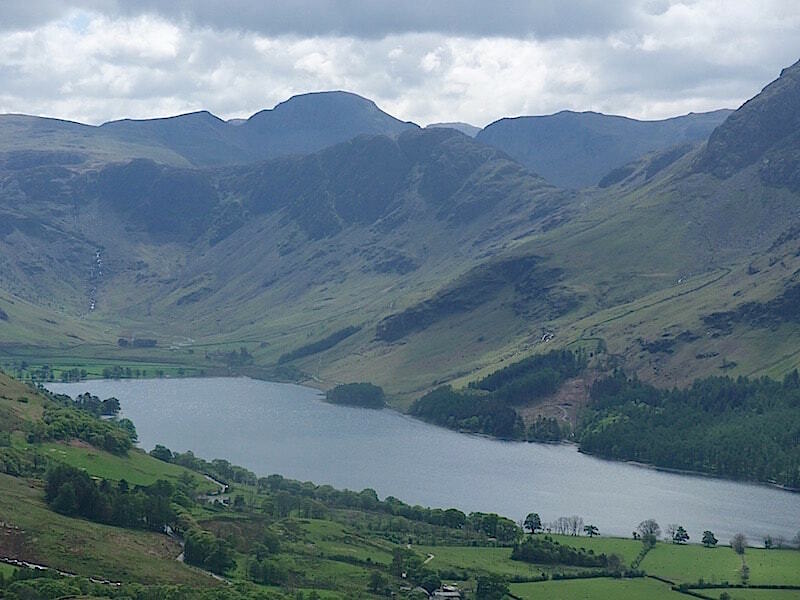 The prominent one on the left of the skyline is Great Gable. 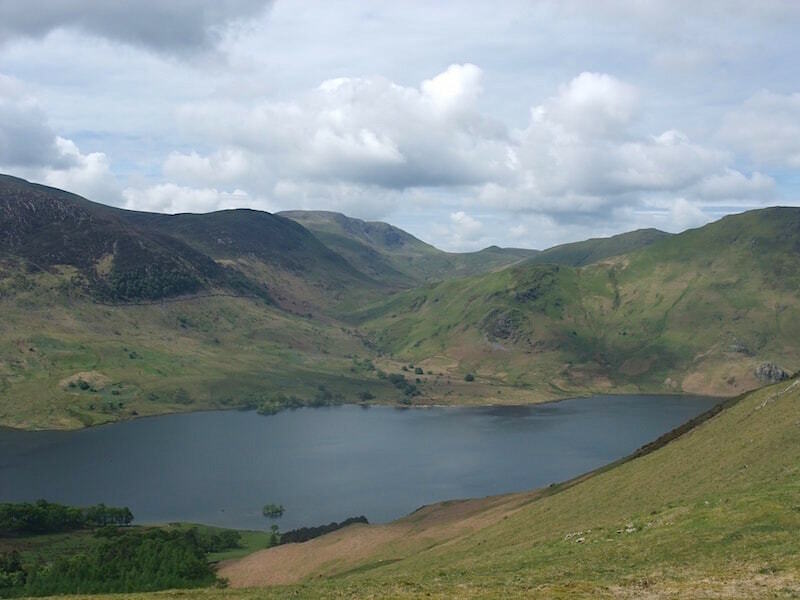 Looking across at Red Pike on the right and High Stile to the left. 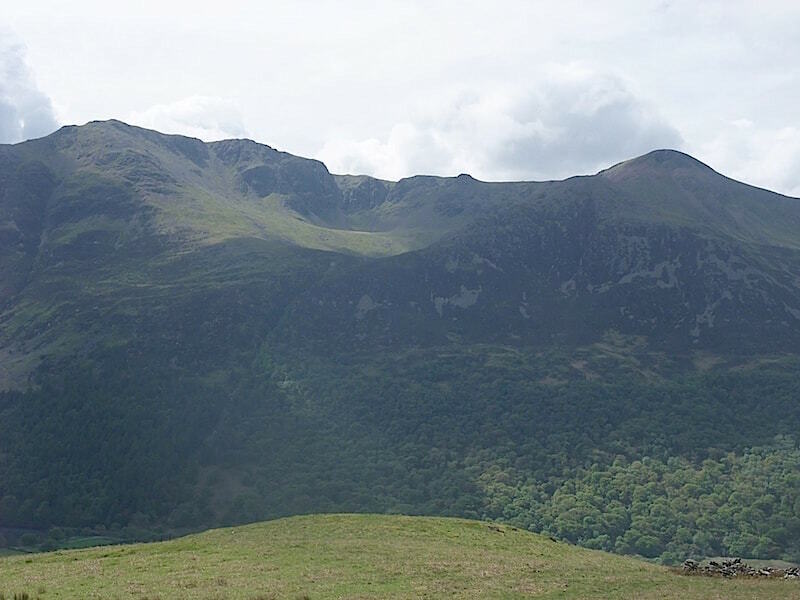 The bowl shaped area behind the sunlit patch between them is a corrie containing Bleaberry Tarn. 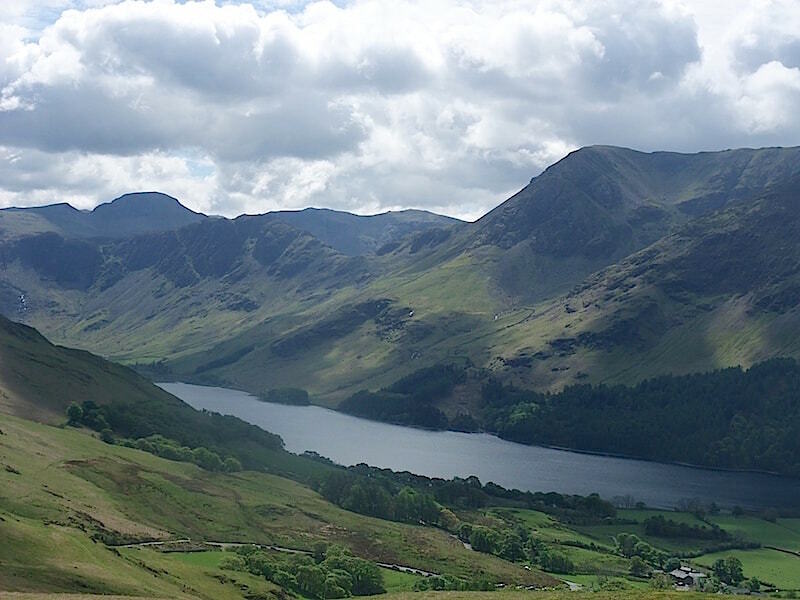 Clouds and sunlight dappling the fells across Buttermere. 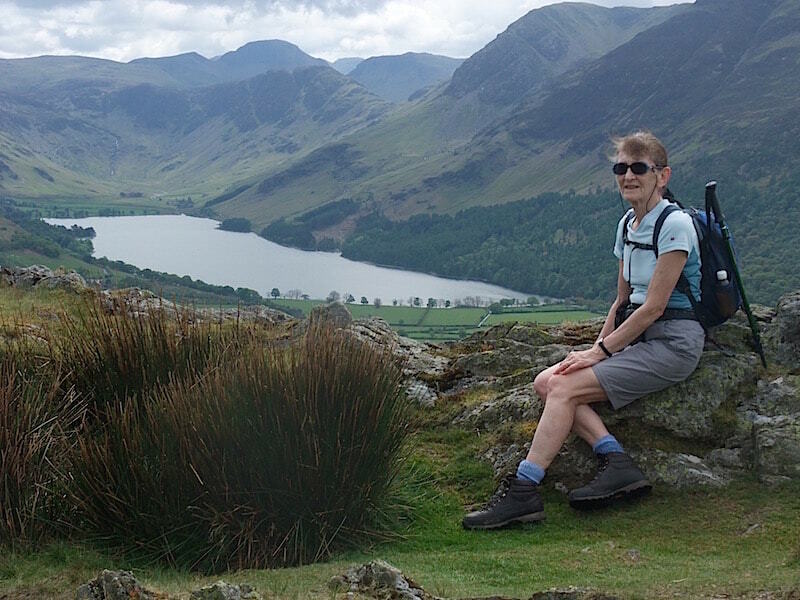 Looking ahead at the view across Crummock Water. 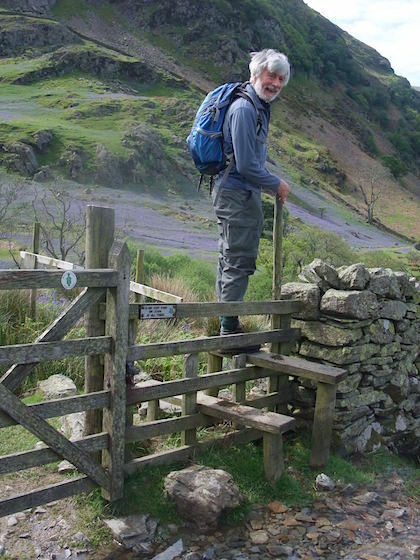 Heading for Rannerdale Knotts summit, but its not the rocky outcrop up ahead. 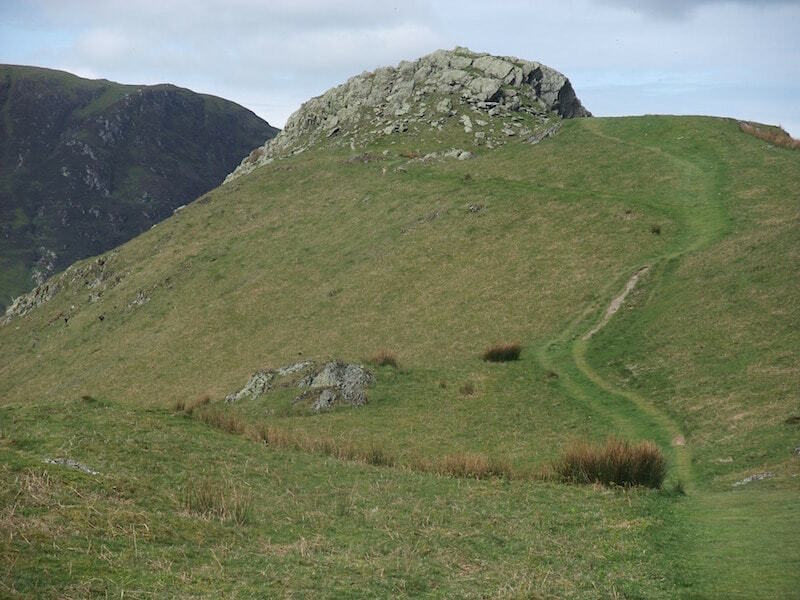 A close up of the rock outcrop, there are quite a few ups and downs along Rannerdale Knotts. 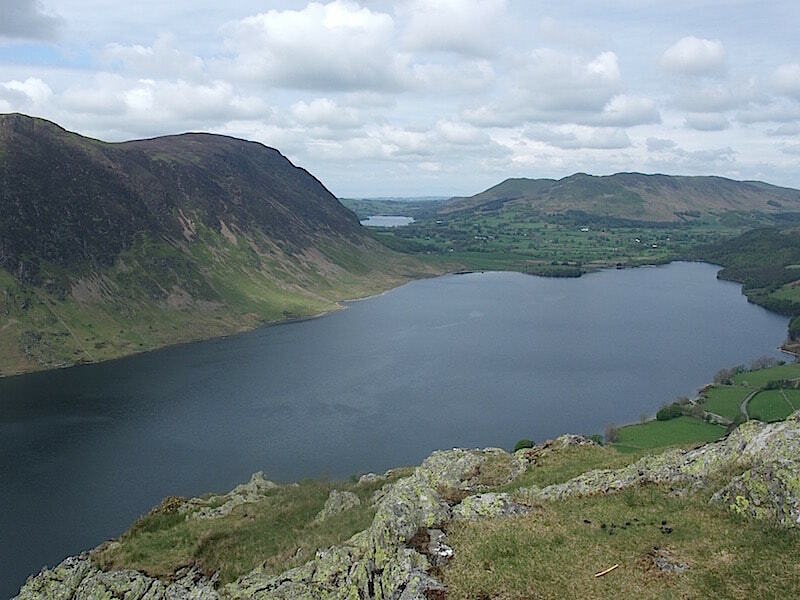 A little further on and we see Crummock water again. 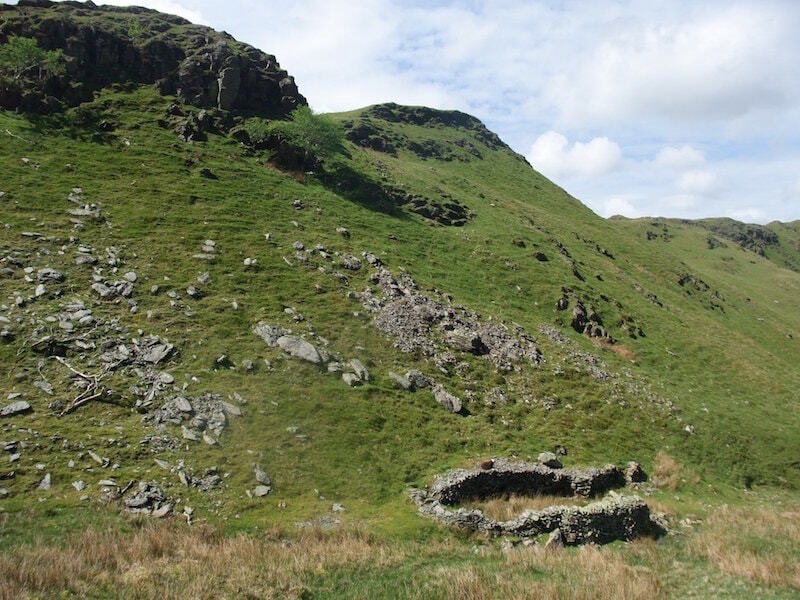 There’s also another rock outcrop to be negotiated behind this one. 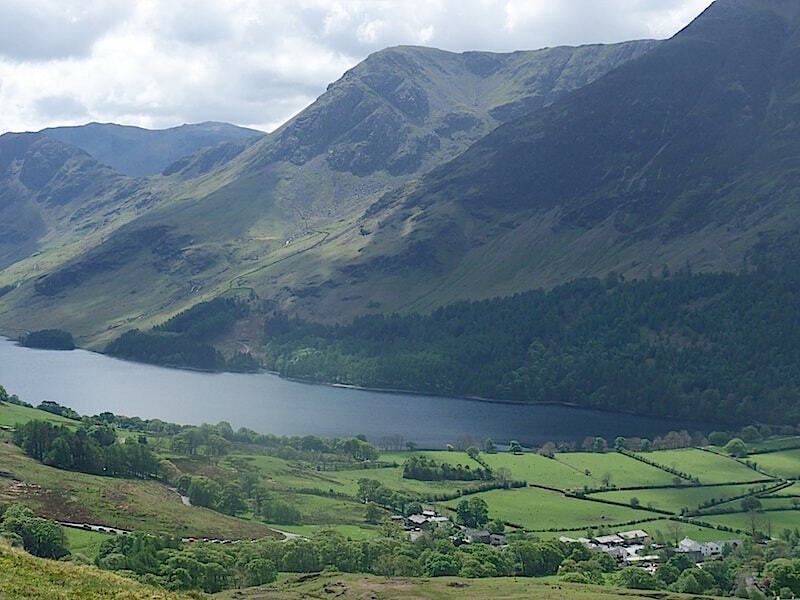 HIgh Stile and Red Pike across the strip of land which separates Crummock Water and Buttermere. 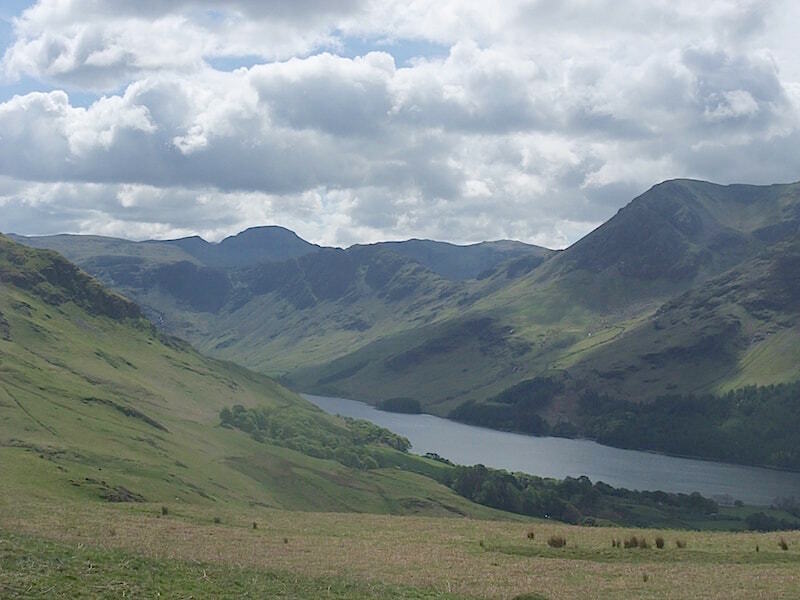 The light improved a little giving us a clearer view of Haystacks, just to the right of, and below Great Gable. 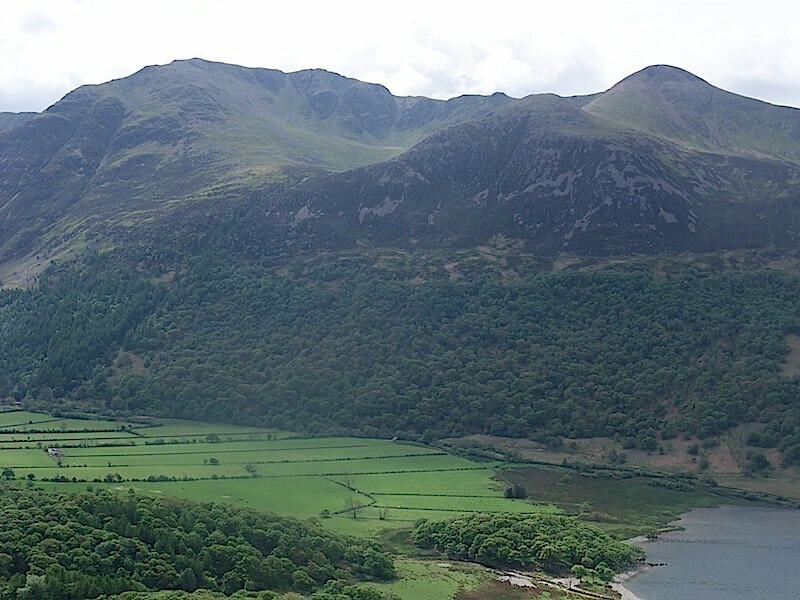 Looking across Crummock Water and the high point on the left is Starling Dodd and the next high point to the right is Great Borne. 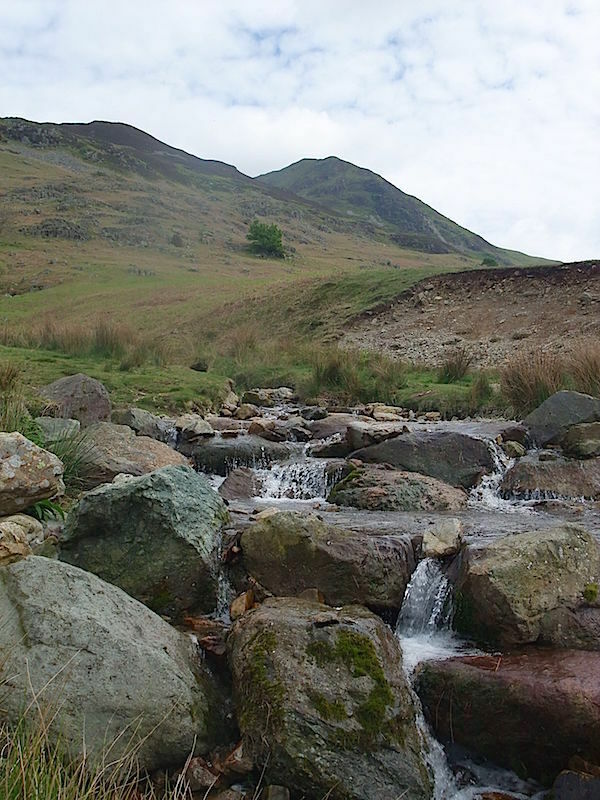 We’ve finally reached the first rock outcrop so a little scramble may be required. 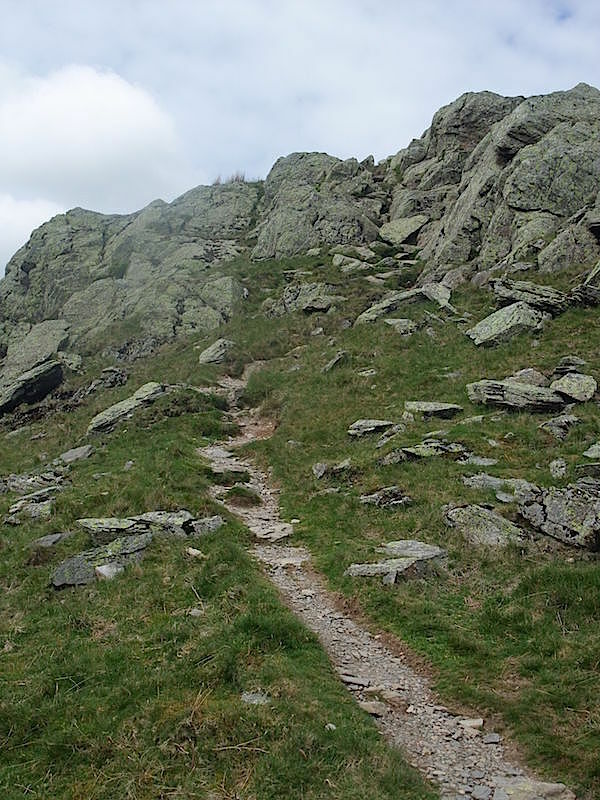 Up and over the first rock outcrop, so now its onwards up to the next one. 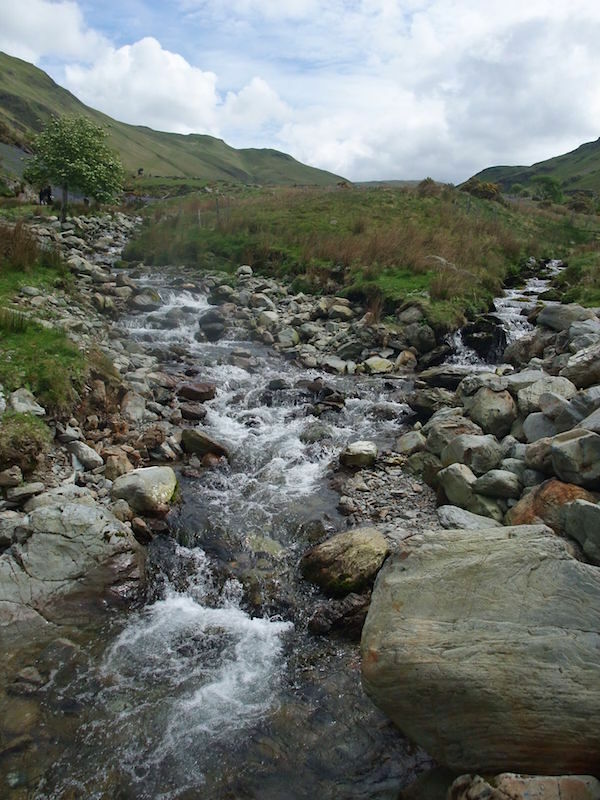 Finally, we reach the summt of Rannerdale Knotts …..
….. and the chance to sit and take in the views. 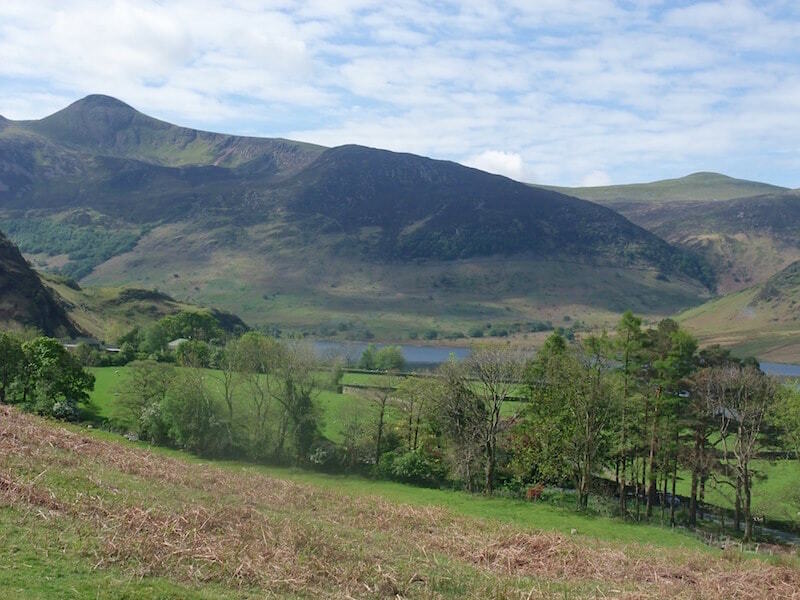 Looking to the northwest from the summit with Mellbreak to the left of Crummck Water and the Loweswater Fells to the right of Loweswater. 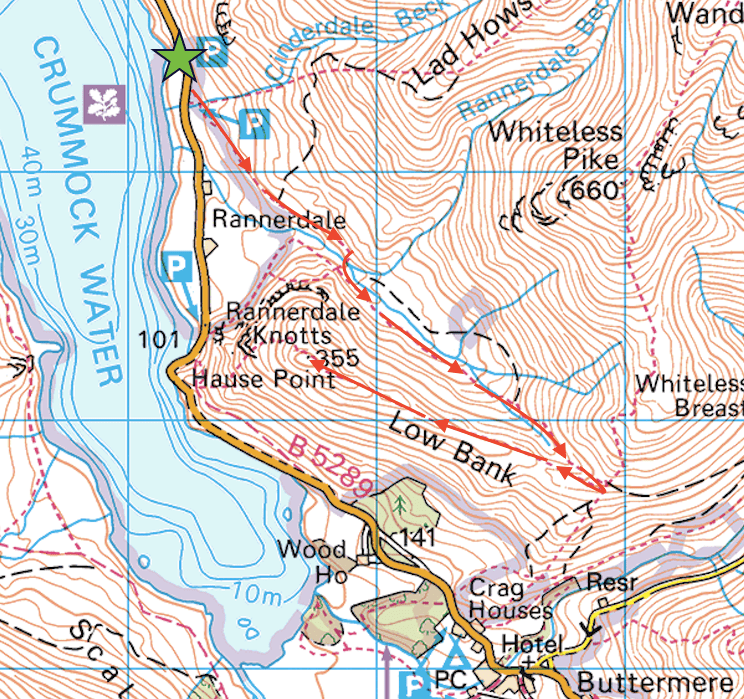 A dizzying look down at Hause Point. Its a bit on the fuzzy side but the camera isn’t all that good at extreme close ups. 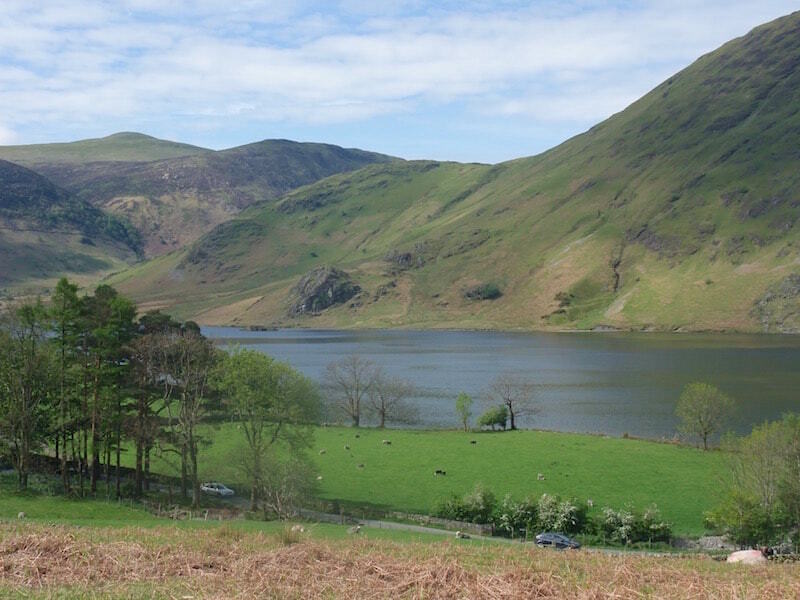 A view over to Great Borne, on the right skyline, across Crummock Water. 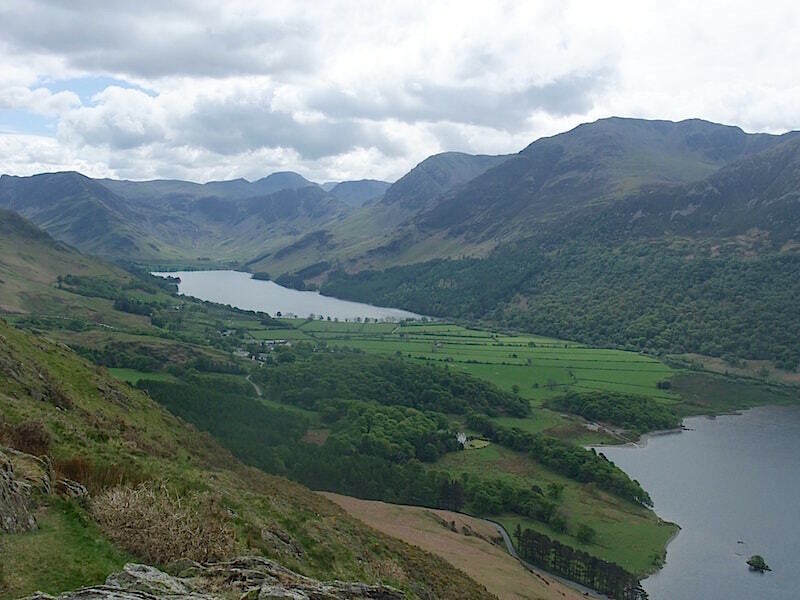 Looking along the length of Buttermere and a view of the strip of land between the two lakes. 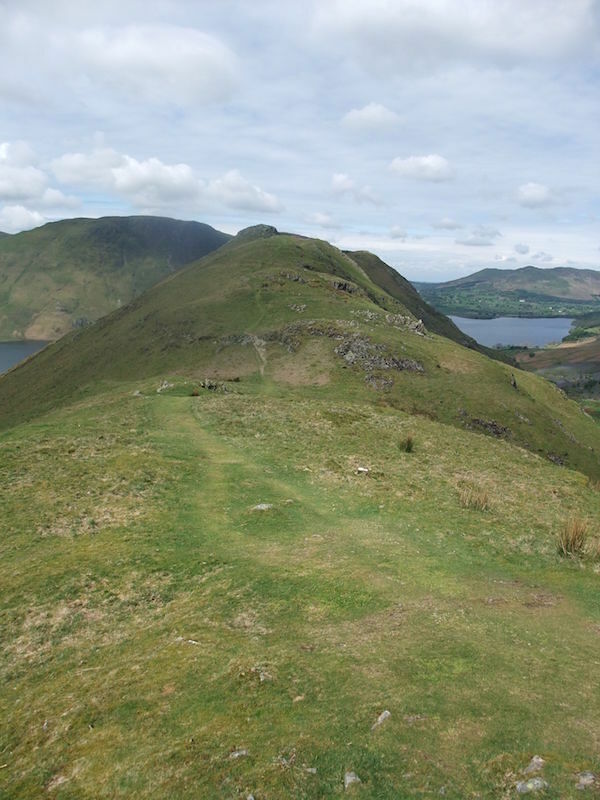 From the summit we retrace our outward route and head back towards Rannerdale. 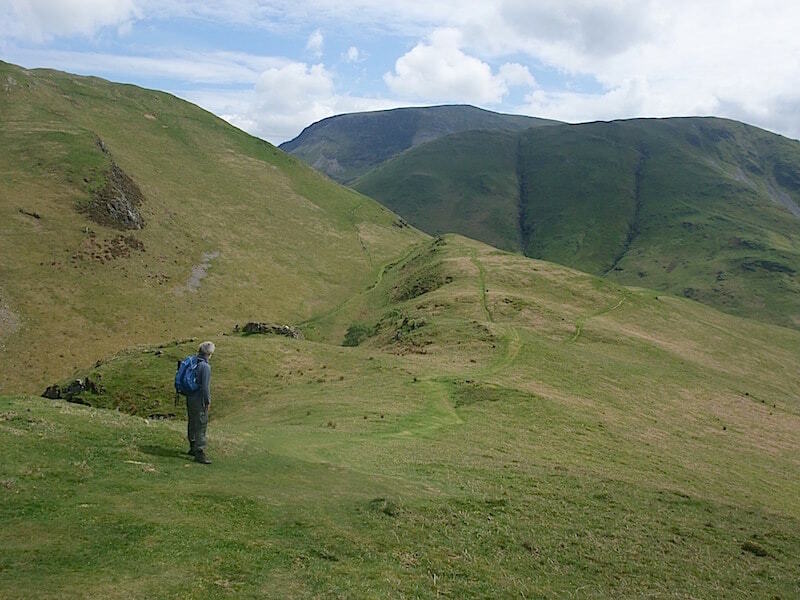 Here we have a view of High Snockrigg with Robinson behind it from the descent path. 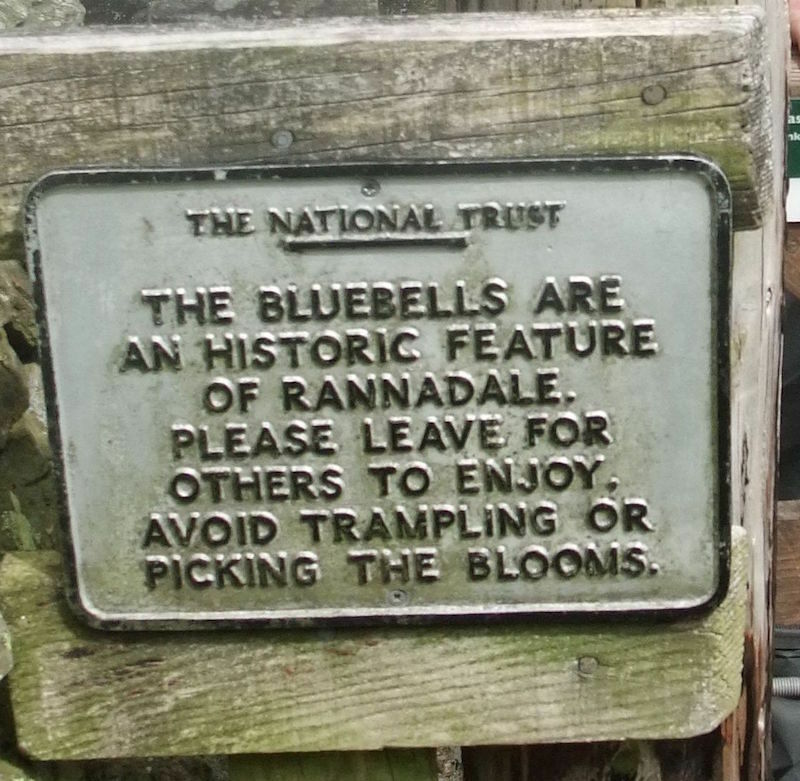 Polite notice in order to protect the bluebells, note the different spelling of the valley name. 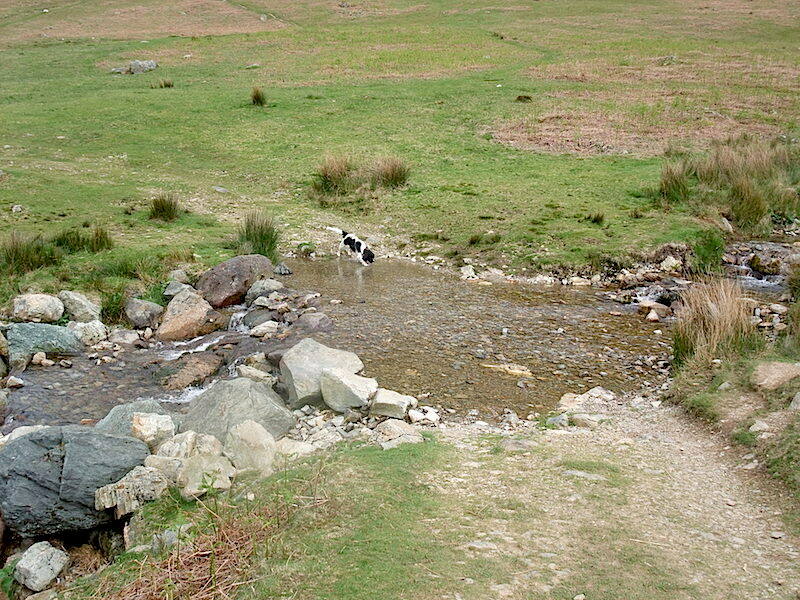 I have no idea where the dog came from, it wasn’t there when I was setting up the shot so it must have scampered in just as I took it. 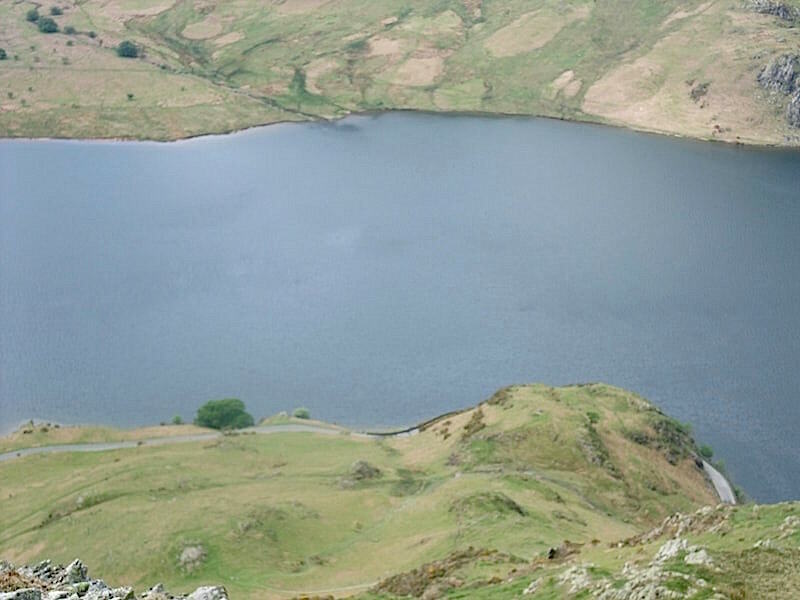 A look back at Whiteless Pike. 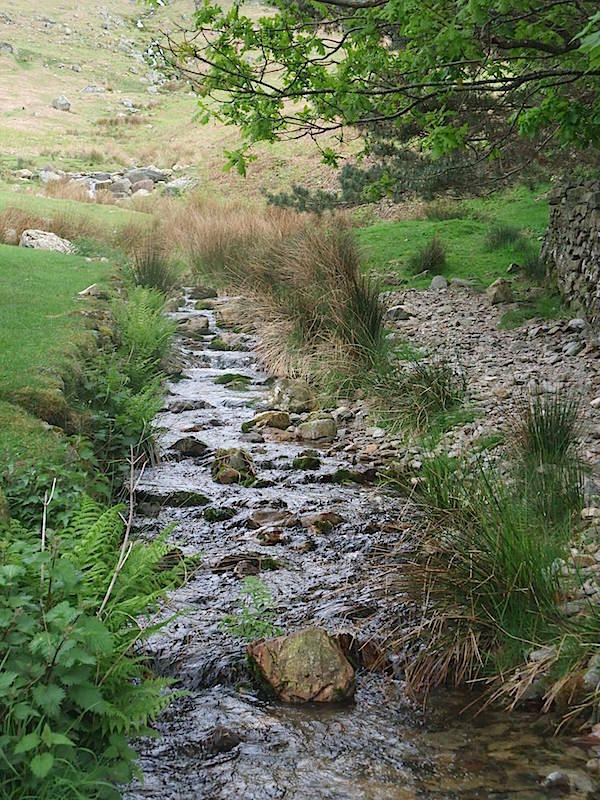 In a shady nook, by a babbling brook …..
….. is where today’s walk comes to an end, the car is parked just to the left of the shot so let’s go and find a cup of tea in Buttermere.